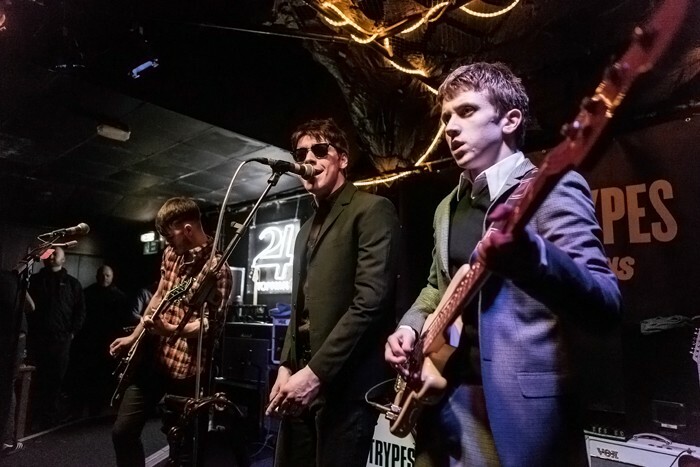 As Irish four piece rockers The Strypes set themselves to play Liverpool’s Arts Club, Getintothis’ Katie Murt brings the news. After the release of their latest single earlier this month Oh cruel world, The Strypes have announced a Liverpool date for their upcoming UK tour this summer while fans of the Irish four piece eagerly await the release of their third album Spitting Image, coming out June 16. Despite all being at the dawn of their twenties, the talented young lads had success from the off with self-releasing four covers on an EP back in 2012, before going on to release their debut album in 2013. From there they have gone from strength to strength playing to massive crowds supporting bands such as The Courteeners and Arctic Monkeys. With tickets going on sale Friday 28, The Strypes are set for a fiery, harmonica infused show at Liverpool’s Arts Club. The Strypes play Liverpool’s Arts Club on June 9.